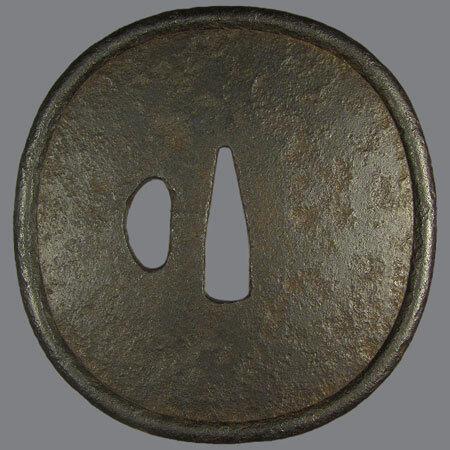 Katchushi style tsuba. Author, Kaneshige (兼重), was a plate maker artist, and worked for several schools and artists, who added their own design: inlay and carving. 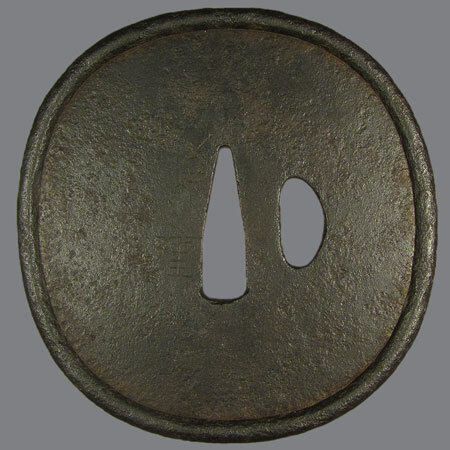 Such tsuba are signed "Kaneshige" on the reverse, and the obverse sometimes bears the second artist's inscription. 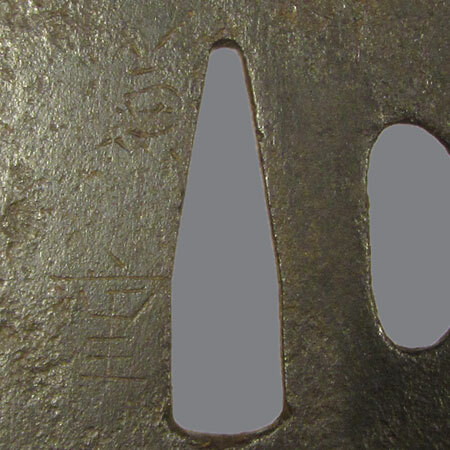 This tsuba for some reason has never been finished by the second artist. Maybe it was considered as a finished object. Kakumaru gata, wa mimi; 8,6 х 8,3 x 0,4-0,6 cm.